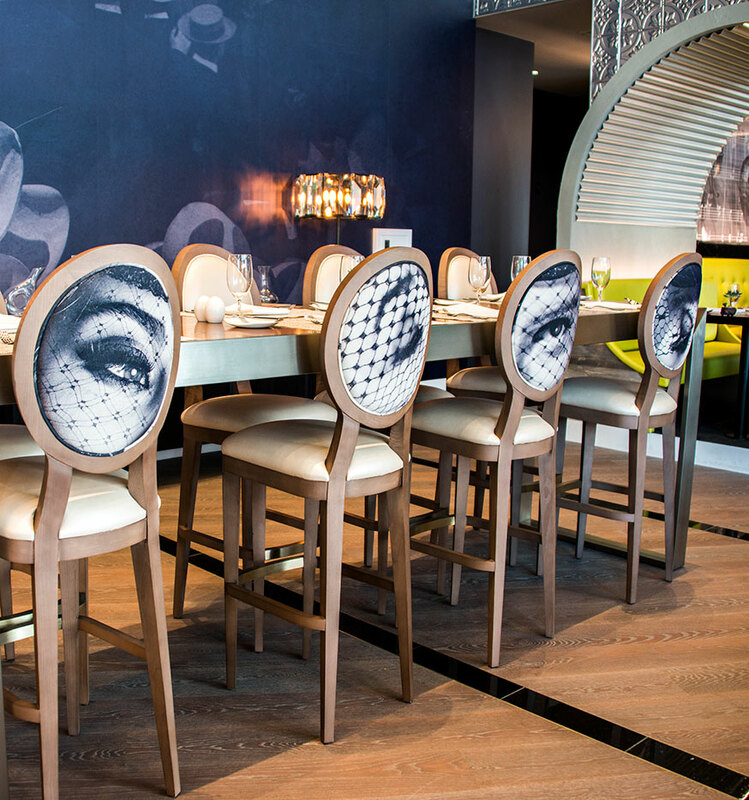 This property stands out from the rest because of the vast amount of custom artwork that fills every inch of the hotel. All artwork was created by JVA to follow the Anna May Wong story down to the very last detail. JVA created custom fabric for the lobby sofa made from newspaper articles about the Fiesta de Los Flores from the early 1900’s. 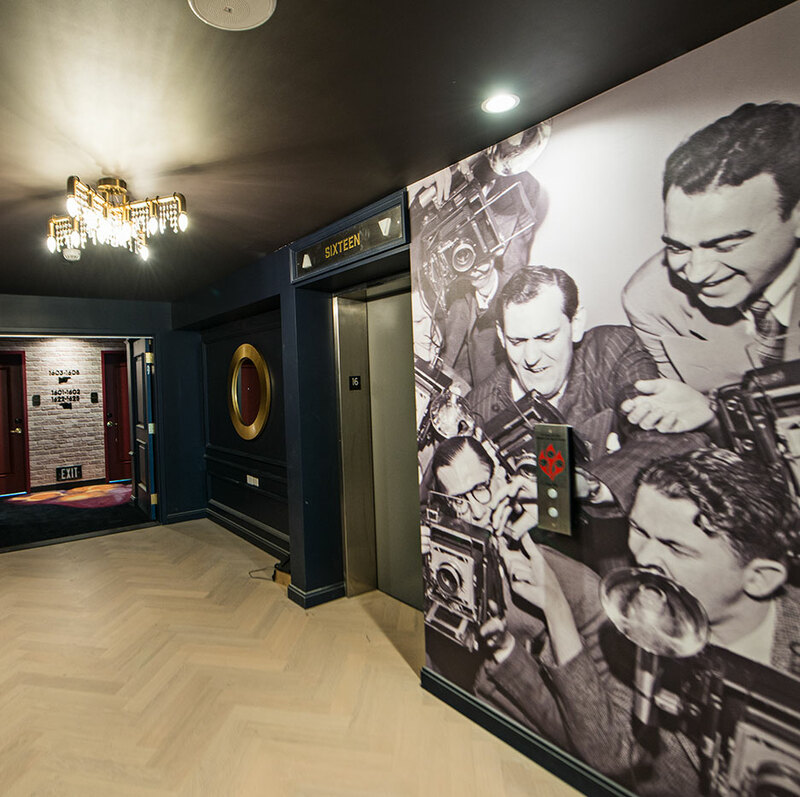 Historical photos, clippings from movie scripts and custom created murals incorporating Anna’s story touch every surface. 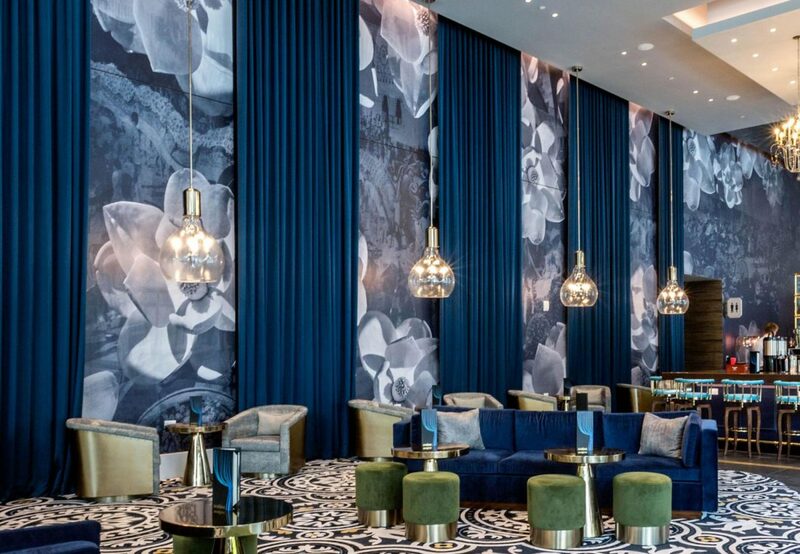 JVA had the pleasure of adorning all areas of this property- lobbies, restaurants, guest rooms, suites, restrooms, all public areas and even selected public area accessories. As guests approach the lobby elevators they are entertained by an animated digital “flipbook” motion wall, which brings to life some of the vintage parade route characters of the Fiesta de Los Flores. Every space has a piece of history tied to it. Step onto one of the elevator cabs, and the large-scale graphics will transport you back to the times of secret doors to 1920’s Speakeasies, with champagne bubbles on the ceiling. 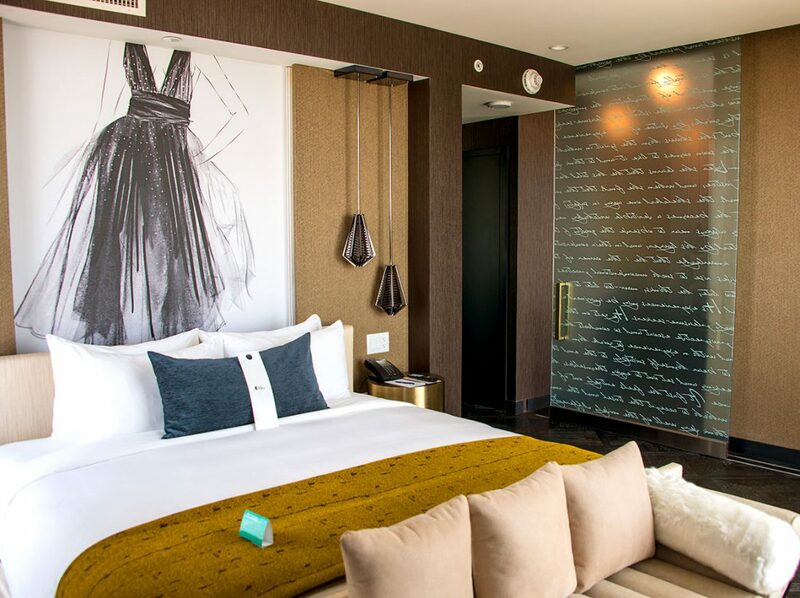 The artwork and design create a truly enchanting experience that will read like a storybook to anyone who stays at this hotel.